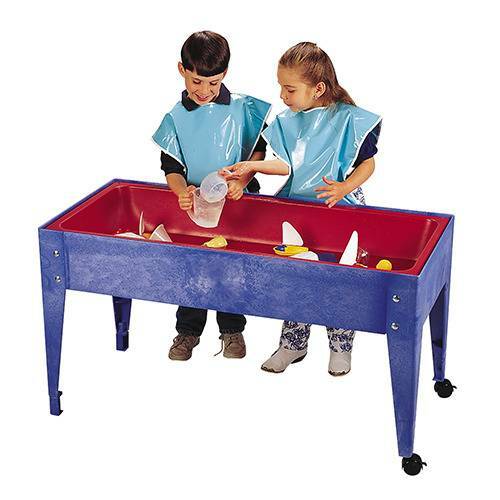 46" L. x 21" W. x 24" H.
Made of sturdy, moisture resistant high impact resins this 46" W. x 21" D. x 24" H. table features a 6" deep full red liner with a screw-in rubber plug to simplify draining, a dry erase write-on/wipe-off top for use with dry erase markers, two locking casters for ease of mobility and two side trays for storage. Can easily and safely be moved between indoor and outdoor use. Assembly required.